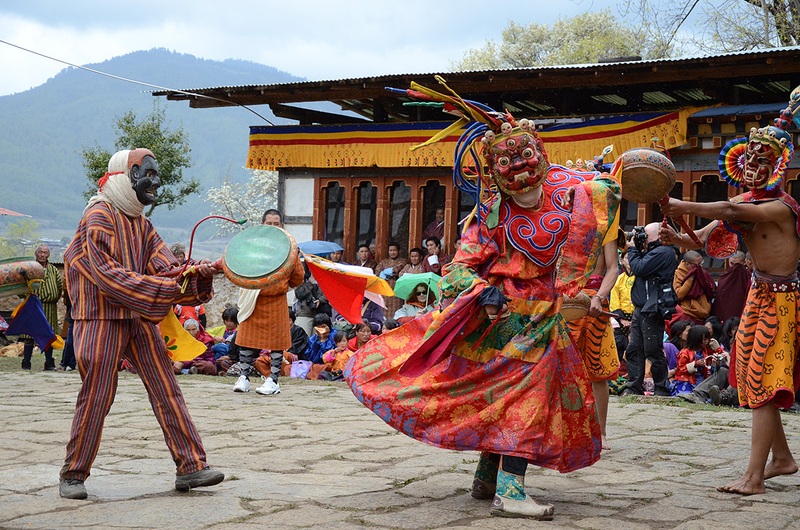 On Sunday, 21 April, as we continued on our Spring Break Excursion through Bumthang, we visited the Domkhar Tshechu festival; this tshechu continues for four days. 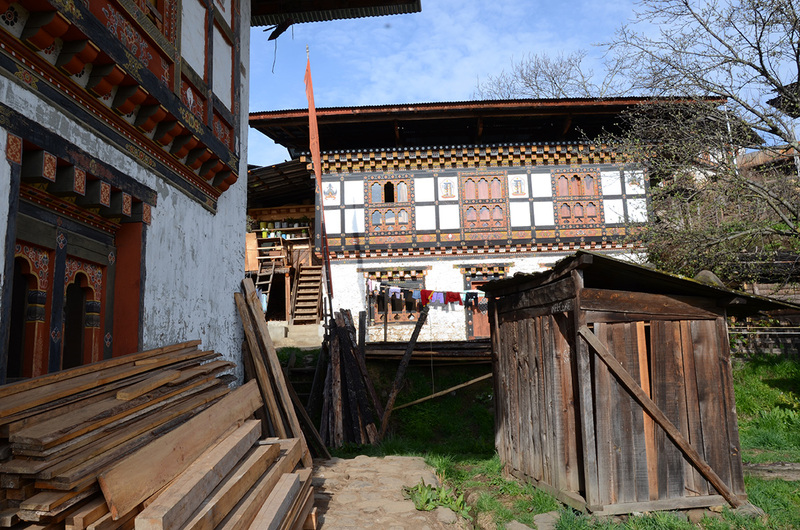 Upon arriving, the atmosphere was very different than the Paro tshechu festival we attended back in March. 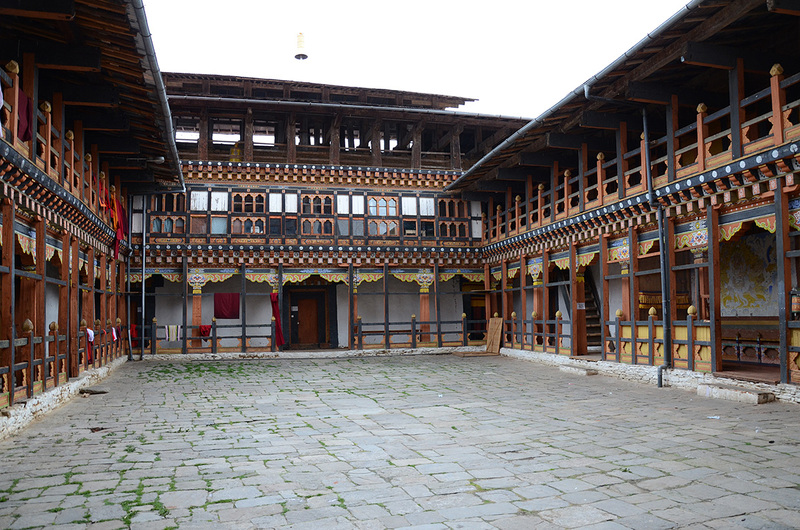 This tshechu had more western visitors (chillups) than Bhutanese people, who were of course taking photographs of the people and dancing, and was significantly smaller and more intimate. The first thing we saw as we were walking up to the tshechu was tent after tent of vendors selling food and lots of various trinkets and clothing items; there were also many tents with gambling and carnival-like games. To see the main portion of the tshechu, we had to walk through a gate into an open area, surrounded on three sides by a lakhang and two other buildings with a wide grassy area for dancing, and people stood and sat around the edge to watch. As we walked in, there was a group of women already performing a traditional dance in which they wear their full kira and rachu, while dancing in a circle. After this dance, came a more familiar mask dance which is danced only by men, where each dancer wears a traditional mask shaped as various animals and a bright-colored costume, while holding and playing a drum; we also saw this dance, called the Drametse Nga Cham, during the Paro tshechu. For the duration of this dance, the Atsara, or clown was going around and shaking hands with all of the chillips, collecting donation money which then goes toward helping the community. This Atsara wore pin-striped pants and a patterned shirt, both bright-colored, and, as usual, a red mask with a devil-like appearance and a large nose. 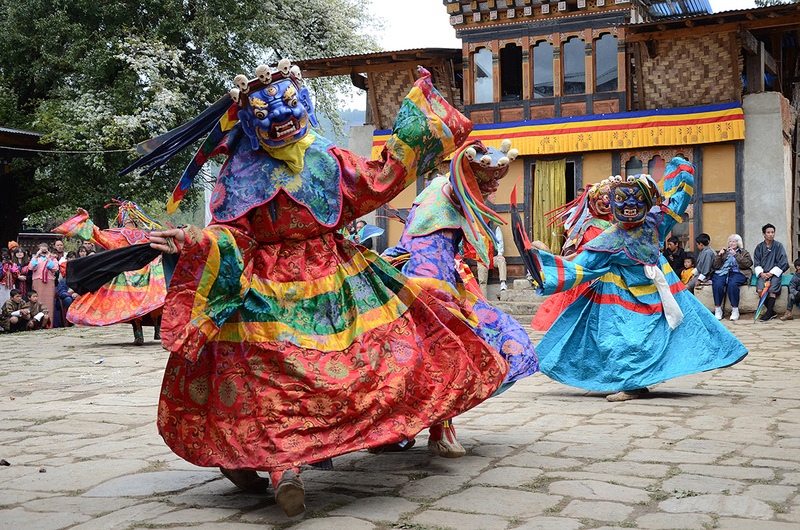 Following this dance, was another traditional dance, also danced only by men, in the first part of which the dancers wore long, brightly colored robes and traditional Bhutanese boots and fearsome masks that did not resemble animals, but were almost human-like with fangs, three eyes, and five small skulls along the top. This dance was a lot more interesting because it was the first time we had seen it, and involved a kind of battle. The main dancers in robes were later were joined by a smaller group of shirtless men who wore tiger-print skirts and another piece of embroidered fabric around their neck and draped over their shoulders. These men danced with masks that had flags sticking out of the top, fan-like projections to the sides, and fangs similar to those on the other dancers’ masks. The shirtless dancers used the drums with which they were dancing to torment and chase away the dancers in robes; in response, the robed dancers would try to “fight” back, dramatically twisting and twirling and jumping in the air. The dance continued in this battle-like scenario until one by one the fearsome dancers in long robes were driven back into the lakhang. The two major dances we saw danced to the music played by a small group of monks, playing traditional horn instruments and drums in combination with the drums played by the dancers. The Domkar tshechu was much smaller than the Paro tshechu, but it was very interesting to compare and contrast the two festivals. Because the Paro tshechu was well-attended, we didn’t get to interact with the Atsara due to the large crowd standing and sitting around the dancers and at the Domkar tshechu, the Atsara was hugging everybody, especially the chillips, as he made his way collecting donations from the other attendees. After leaving the tshechu we continued on our journey to Jakar. 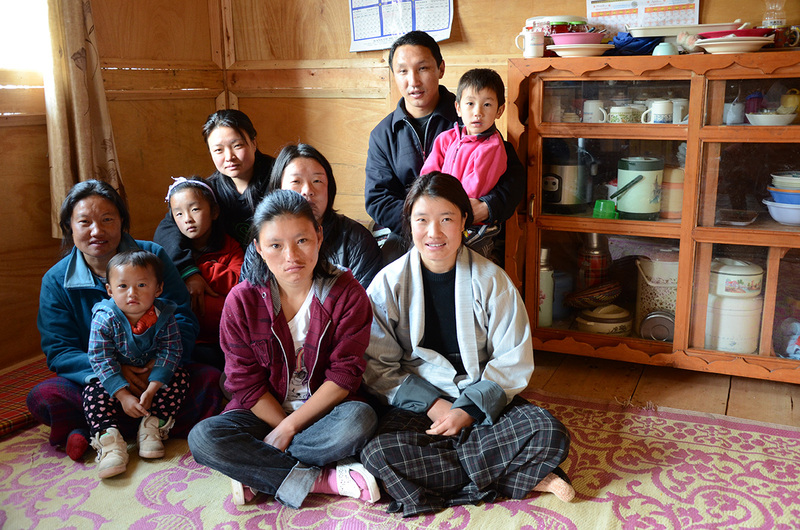 We ate lunch at Wangdicholing Resort, where we would be sleeping for the night, then got back on the bus and headed to The Burning Lake. Much to our disappointment, we were informed by Tsewang on the bus that there would be no fire, flames, or pyrotechnics of any sort seen hovering above the lake. 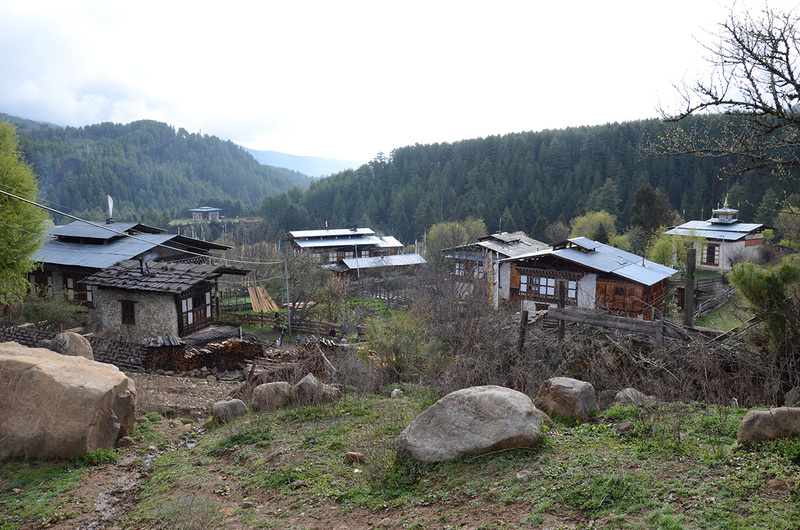 According to the legend Terton Pema Lingpa had a vision of the sacred treasures that Guru Rimpoche had hidden within the lake centuries earlier. However the people of Tang and the local ruler were cynical of his claims. In order to prove his claims, Pema Lingpa held a butter lamp in his hand as he jumped into the lake. After remaining under water for a long time he re-emerged holding a chest and a scroll of paper with the butter lamp held in his hand still burning bright. Thereafter, the lake came to be known as Mebartsho (the burning Lake). It was a very short walk from the bus to get down to where the lake actually is. 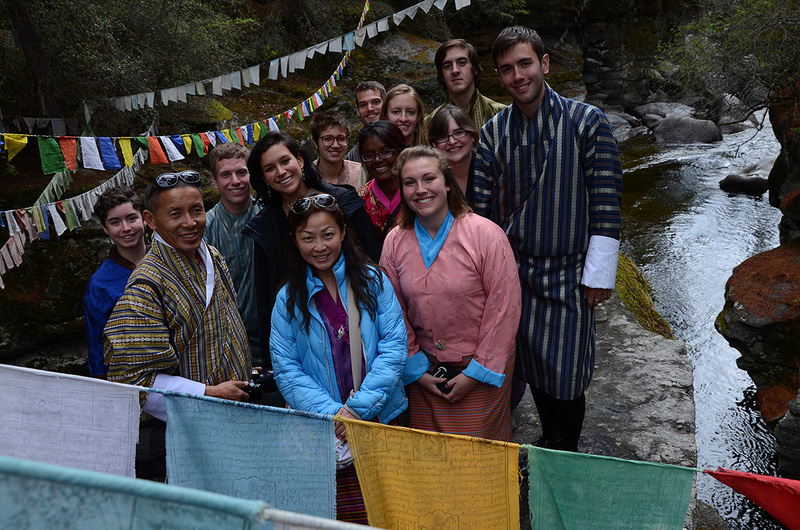 After crossing a narrow walking bridge we could see the lake underneath an amazing interweaving of prayer flags. The water had perfectly carved and smoothed out its path among its rocky barriers. Once we were there it was a pretty spectacular sight.